HOME OF THE MONTH. The Combe is set in a small cul-de-sac on the edge of Loddon Oak. You could fit a dining table in the kitchen or keep it free to fill with friends, and the separate living room conveniently opens into the garden making it a pleasant place for an evening drink after work. The 3rd bedroom could prove useful as an office or hobby room. Finished and built to a high standard by Bewley, this 3 bedroom home is set in the charming, leafy village of Spencer’s Wood just a short drive from Reading and convenient for commuters who want to escape the town. From Reading take the A33 signposted Three Mile Cross/Spencers Wood/Basingstoke. At the M4 motorway junction continue straight across the roundabout (3rd exit) and stay on the A33. Turn left at the traffic lights onto the B3349. Go straight ahead at the first roundabout then turn left onto Hyde End Road/B3349. The development will be found on the left hand side. Please note the images shown are taken from the Bewley show home and therefore do not reflect the finishes or layout of this property. Management charges may apply per plot. Each property will be sold with the benefit of the 10 year NHBC Structural Warranty. All Bewley Homes purchasers benefit from 24-hour emergency cover, 7 days a week for a two year period. ** Subject to stage of construction. Disclaimer - Property reference 92575. The information displayed about this property comprises a property advertisement. Rightmove.co.uk makes no warranty as to the accuracy or completeness of the advertisement or any linked or associated information, and Rightmove has no control over the content. This property advertisement does not constitute property particulars. 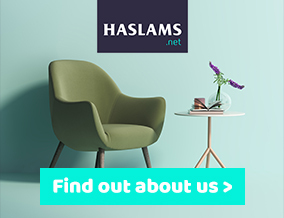 The information is provided and maintained by Haslams Estate Agents, New Homes. Please contact the selling agent or developer directly to obtain any information which may be available under the terms of The Energy Performance of Buildings (Certificates and Inspections) (England and Wales) Regulations 2007 or the Home Report if in relation to a residential property in Scotland.